Election Day is Saturday, May 6. Early voting begins Monday, April 24. PICK RICK & LET’S BRING IRVING TOGETHER! 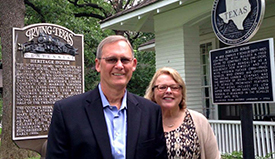 Rick Stopfer has served and represented Irving with distinction for nearly three decades. He is a bridge-builder who recognizes the extraordinary value in our city’s diversity and the need to bring us all together. He is a dedicated public servant and is highly respected for getting things done. With the opportunities and challenges ahead, we need his integrity, experience and leadership to advance transportation and economic development projects and manage key issues – for the benefit of all of Irving.